I’ve learned a great deal about leadership in the process of trying to build a business. Only recently have I come to appreciate the important role that effective leadership plays in actually growing a business. 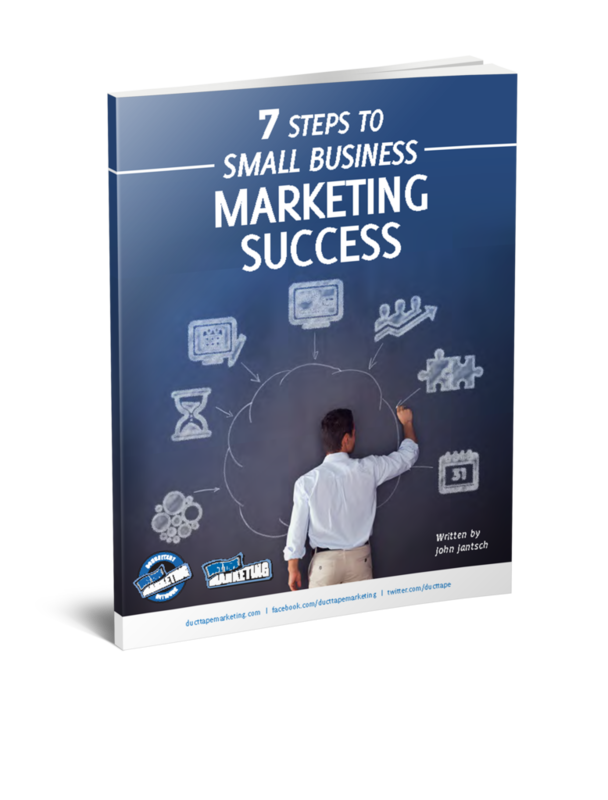 In small businesses we often look to more obvious areas of business for paths to growth, such as marketing and selling or even negotiating skills. The thing is, nothing really happens without true leadership. That’s not to say someone can’t hatch a good idea, work their tail off and grow a business that looks pretty successful. But, lacking vision, compassion, purpose and commitment, it’s pretty hard to build a place where people want to come and be their best self and that may actually be the hallmark of a successful business. I’m not unlike a lot of entrepreneurs. I want to work on the stuff the business makes and sells today. Leadership is quite often more about the stuff of tomorrow and it’s messy and unruly and it gets in the way of things we’d rather do. Oh, and it takes work, it doesn’t always come naturally to us, even those of us who are routinely thrust into roles that require us to lead in order for others to succeed. So here are few things I’ve observed over the course of trying to learn to lead. Leadership is mostly about trying to help people grow and achieve potential. Of course the only way you can provide an environment where this can happen is if you charge headlong down that path yourself. Unless you are constantly experiencing your own growth you’ll cease to recognize the need for it in others. Reading is probably my most effective tool for growth. I, of course, read most everything I can related my work, but I make it a point to read a great deal of fiction and other seemingly unrelated topics such as human growth, psychology, sociology, nature, ancient religious traditions and even architecture. I’m fascinated by the connections these subjects have to things like community building and system development. Start asking for recommendations on books about leadership. Don’t be surprised if a few of them don’t mention the word leader in the title. People don’t give themselves to great companies or great products. They follow great stories and great causes and great ideas. Until your leadership ideas are steeped in a vision that’s bigger than simply going to work for you to get a paycheck, you’ll struggle to attract anyone interested in much more than that. Vision takes thinking bigger for yourself and your company first. Until you can do that you’ll find it hard to inspire yourself let alone others who might choose to join you. Do you have a big idea, are you headed somewhere really cool, do you do what you do because there’s a higher purpose? Share that and don’t be afraid to inspire others to think bigger in the process – that’s vision. So here’s your question. What’s the picture of your business in three years and why is that a vision worth following? Get people involved every step of the way by getting them to understand why they are doing what they are doing. Ask for their input and ideas and hold them accountable for improvement based on their input. Give them permission to disagree with you, even inviting conflict. Ask that surprises and bad news are delivered unvarnished. It’s the only way to get people as invested as you are in the outcome of their work and it’s how you eventually get everyone aligned. Bring your entire organization together and ask them to identify, in their view, the three greatest priorities in your business right now. This one is so obvious, but so hard to do consistently. If you sit around and complain about those darn customers, don’t be surprised if everyone else does as well. If you want people to be on time for meetings show them how important it is by arriving ten minutes early and starting on time. If you want your staff to go overboard showing clients appreciation, demonstrate it by writing hand written notes to clients each week. If you want people to be accountable for their health and wellness, well, hit the gym. Identify three behaviors that you want to everyone to model and determine your place in leading them there by example. It’s a shame to see organizations where managers manage by retaining control and making sure that everyone need come to them for answers. Perhaps the most universal truth about leadership is that the best way to succeed as a leader is to put all of your energy into helping those you lead succeed. In Good to Great, Jim Collins noted that many of the best leaders built such a culture of winning that their departments could actually manage without them. As your business stands today, ask yourself what would fall apart if you needed to leave for a few months and go to work on building leadership in those areas first. I’ve found that people pretty much live up to our expectations. While it’s pretty easy to take credit when people succeed and place blame when they don’t, most of the time is comes down to what we expect. Expect more of people and you might be surprised. Believe in people and all of a sudden they do more than we expect, get more involved in the success of the company and rise to the level of our expectations. Give everyone that you manage a thirty-minute meeting each week where they get to set the agenda. Ask them to think about what they need to be successful and engaged and assure them you want to go to work on that with them. So you see this leadership stuff isn’t that complicated, it just takes work. It takes making it a priority and building into the culture of how your business functions. Is it that important? Here’s my take – if your vision of success involves anything more than what you can wrap your arms around today, you need to understand how to become a better leader.